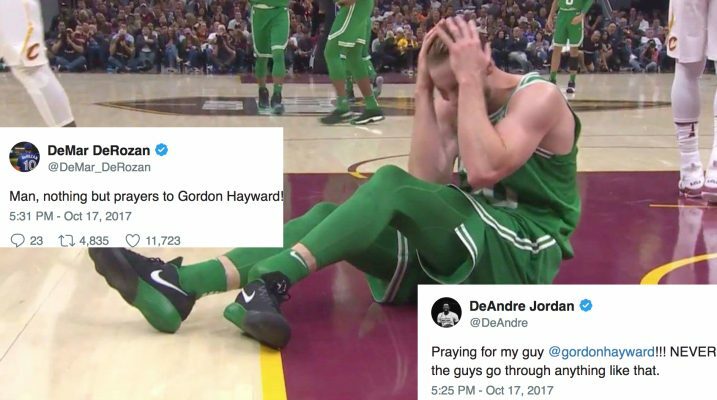 Gordon Hayward‘s gruesome injury during the Cleveland Cavaliers‘ season-opener vs. the Boston Celtics sent shockwaves through the world of basketball. 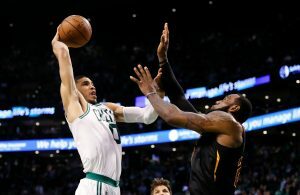 While the night should have been nothing but a celebration of the sport, the incident served as a reminder of what’s at stake every time these players the court. Within minutes of the injury, stars from all over the NBA took to social media to offer their condolences and wish their brother in arms a quick and easy recovery. Prayers up !!! Damn. I know how that feels. 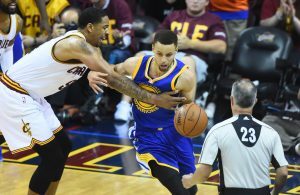 Mannn my heart goes out to Gordon. Praying for my guy @gordonhayward!!! NEVER want to see any of the guys go through anything like that. 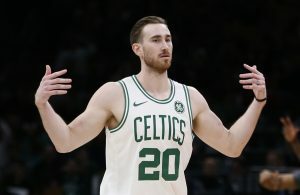 The injury was simply tragic, but the messages from Hayward’s fellow players help remind us what makes the NBA such a close-knit and special league. Hopefully Hayward can take all of these well wishes in stride and come back better than ever.